Leider ist der Eintrag nur auf Englisch verfügbar. Der Inhalt wird unten in einer verfügbaren Sprache angezeigt. 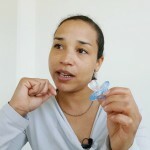 Klicken Sie auf den Link, um die aktuelle Sprache zu ändern. 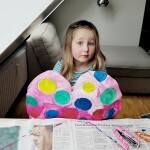 The variety of things to do and activities with kids in Zurich is unending. Yoga, painting classes, workshops, music and theater performances are great activities not only for a kid but also for the whole family, but you as a parent, need to get organised before ahead and make tons of bookings. Sometimes you just want to take it easy, keep it spontaneous and have a relaxing time with no rush at all. This is how I like it, and here are my tips. 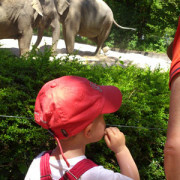 Zurich Zoo – no doubt, my number one place to go when the weather is nice and you want to stay outdoor with your kid. 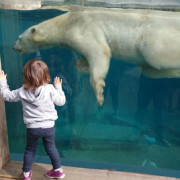 The place has all you need to keep your child happy, active, interested and even interactive, I`m not talking about the amazing Zoo animals but about a lot of other kids around to play with and to learn from. And yes, take some food with you and you can have a great family picknick just next to the sleepy tiger! Time ago a friend told me about Orell Füssli at Bahnhofstrasse, since then it’s been the place to be for me and my daughter when it’s cold or rainy outside. 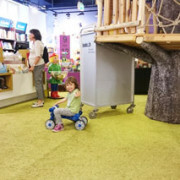 Apart of being a great bookstore with thousands of books for kids, this place has a lovely indoor playground and a Starbucks cafe! What else you need as a parent? Just take your coffee, read a book and watch your little one busy turning pages. Life is great! This is something that I love to recommend to all my friends, with or without kids this is a great thing to do if you like to have a little trip but not too far. Take a day trip to Mulhouse in France! Just 1,5 hours by train or car and you’re in beautiful Alsace that has not only the most amazing food that you can try in one of the local restaurants but also a really great Mulhouse Zoo that has a huge beautiful garden and many special animals such as white bears for example. Kids love it!